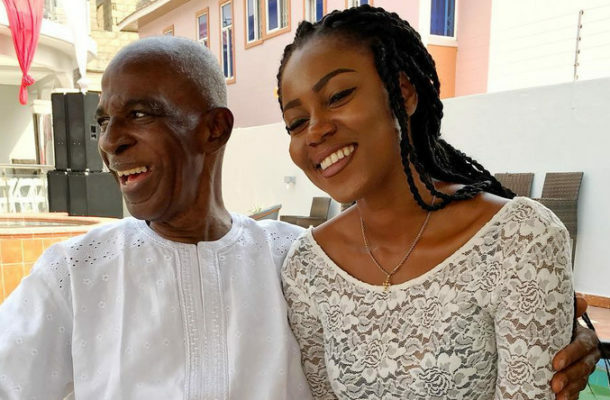 Sultry Ghanaian actress, Yvonne Nelson, has said despite forgiving her father for abandoning her, she was unable to attend his funeral. According to the 'Heels and Sneakers' actress, her pregnancy did not allow her to attend the funeral. In a chat with Abeiku Santana on his show Atuu on UTV on Saturday, February 9, Yvonne explained the reason for her absence. Yvonne’s father died in January 2017 and she posted a lengthy tribute to him on social media. She had in earlier interviews indicated that she did not have a close relationship with him. According to the actress, her father had not been there for her growing up. She said there were no special feelings for him and that he was like any other person out there. Yvonne Nelson told Abeiku Santana that before her father passed away, she had forgiven him all the wrongs he did.